The Senate on Thursday easily voted to overturn President Trump’s declaration of a national emergency at the southwestern border, delivering a bipartisan rebuke to what lawmakers in both parties deemed executive overreach by a president determined to build his border wall over Congress’s objections, as the NYT’s Emily Cochrane and Glenn Thrush report. Dive Deeper: “DOD and Border Security—At What Price?” by CSIS’s Mark Cancian. Two rockets were launched from the Gaza Strip at the Tel Aviv area on Thursday, the Israeli military said, in the first such attack there since the 2014 war in the Palestinian enclave, as Haaretz reports. British lawmakers on Thursday voted to delay the U.K.’s departure from the European Union, scheduled for March 29. The result sets the stage for a possible third vote on Prime Minister Theresa May’s EU withdrawal deal early next week, allowing Mrs. May to use the threat of a long delay to press anti-EU lawmakers to finally support her plan, as the WSJ’s Stephen Fidler and Laurence Norman report. Dive Deeper: “Brexit: End This Torment,” by the Atlantic Council’s John Roberts. NATO’s 2018 annual report release today showed that more European allies in NATO increased defense spending in 2018, with sharp rises in the Baltics, Poland and the Netherlands, but only six governments met a target sought by the United States—while Germany lagged and Canadian outlays fell, as Reuters reports. In Italy, Austria, and the Netherlands alone, Russian foreign direct investment stocks have grown from just €5.4 billion in 2006 to close to €160 billion at the end of 2017. 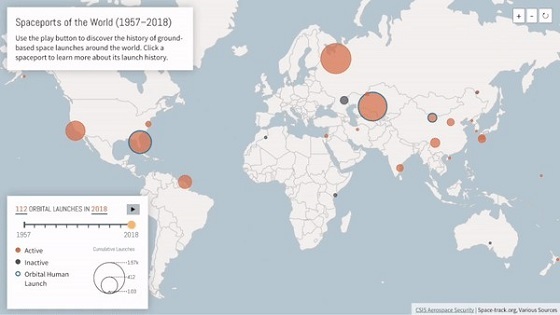 Since the Soviet Union launched the world's first satellite on October 4, 197, launch vehicles have reached orbit from 27 spaceports around the world. Read a new report from CSIS's Aerospace Security Project to learn more about ground-based space launch. (Photo credit: Mark Wilson/Getty Images). 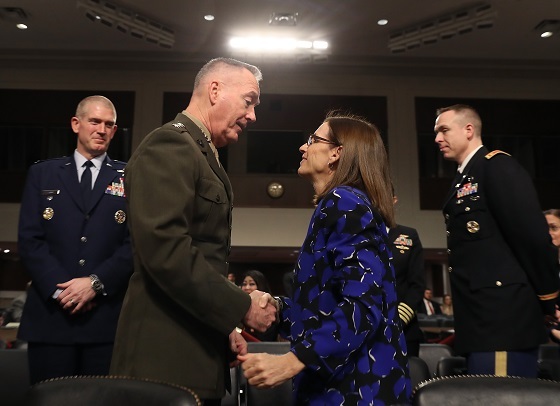 Chairman of the Joint Chiefs of Staff General Joseph Dunford talks with Senator Martha McSally (R-AZ) today on Capitol Hill before a Senate Armed Services Committee hearing. “U.S. Begins Work on New Missiles as Trump Scraps Treaty With Russia,” by Foreign Policy’s Lara Seligman. At 9:00 a.m., join CSIS for a discussion with Air Force Acquisition Executive Will Roper to hear his insight on the acquisition approach for the United States Air Force. Later, at 11:30 a.m., the Hudson Institute will host Jake Sullivan, former national security adviser to Vice President Joe Biden, for a discussion on American foreign policy concerns, such as the future of the Middle East, Russia and Transatlantic relations, and the challenge of a rising China. CSIS today hosted a conversation with Kiron Skinner, director of policy planning at the U.S. Department of State, to discuss the Trump administration’s approach to stabilizing fragile states. Watch the full event here. Trade experts Scott Miller and Bill Reinsch break down the buzz around trade, how it affects policy, and how it impacts your day-to-day. 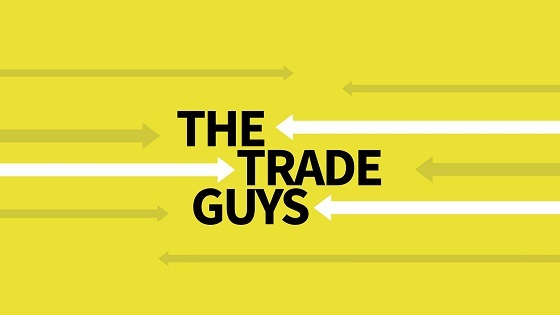 In this episode, the Trade Guys discuss developments in the US-China deal and the USMCA, what's going on with the trade deficit, and why India is the president's latest trade target. It’s difficult for me to describe the impact that Sting and Dire Straits had on me and my friends as a teenagers. I woke up every morning with a poster of Sting and The Police staring down at me. Sting was impossibly cool. We dressed like him in the 80s, wore our hair like his—even bleached our hair. We danced like Sting. And his music consumed us. I watched an episode of “Top Chef” on Netflix last night where the Italian butcher Dario Cecchini talked about not wasting an ounce of meat. There is not one song on any Police album that we considered a waste or filler track. The same went for Sting’s early solo records. So when Dire Straits’ “Money For Nothing” was released in 1985 featuring Sting on vocals famously crooning “I want my MTV,” an anthem for my generation was born. When they performed it just a few months after its release at Live Aid I was blown away. I still am watching this clip.